The Estuary Program's Policy Committee hires Jennifer Hecker as CHNEP Executive Director. Jennifer Hecker has worked for the governmental, business and environmental non-profit sectors for nearly two decades to protect Southwest Florida's exceptional natural resources. 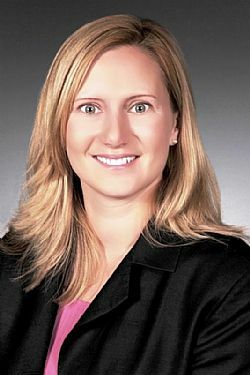 As the former Director of Natural Resources Policy for the Conservancy of Southwest Florida for twelve years, she worked at the local, state and federal levels to advance the organization's advocacy and lobbying priorities regarding water resources, listed species, everglades restoration, natural resource extraction, environmental lands acquisition, and natural resources legislation. Prior, she worked as a Project Ecologist for WilsonMiller, Inc. and as an Environmental Specialist for Hillsborough County, Fla. in their Environmental Lands Acquisition and Management Program. Hecker has a bachelor's degree in Environmental Studies from Prescott College and graduate degree in Tropical Biology and Conservation from the University of Missouri. Jennifer Hecker was selected by the Florida Weekly as a Southwest Florida "Power Woman" in 2011, is an alumnus of Leadership Collier and has served on various boards including the Florida Coastal and Oceans Coalition, National Great Waters Coalition, Southwest Florida Watershed Council, Everglades Coalition, and Corkscrew Regional Ecosystem Watershed Trust. She also was appointed by the Florida Department of Environmental Protection to their Statewide Stormwater Technical Advisory Committee and has been qualified as a water quality expert in a court of law. Jennifer Hecker, as the Executive Director, is responsible for maintaining the strong partnerships developed through the Charlotte Harbor National Estuary Program Management Conference, continuing the implementation of the science-based Comprehensive Conservation and Management Plan, and being an effective advocate for the resource.